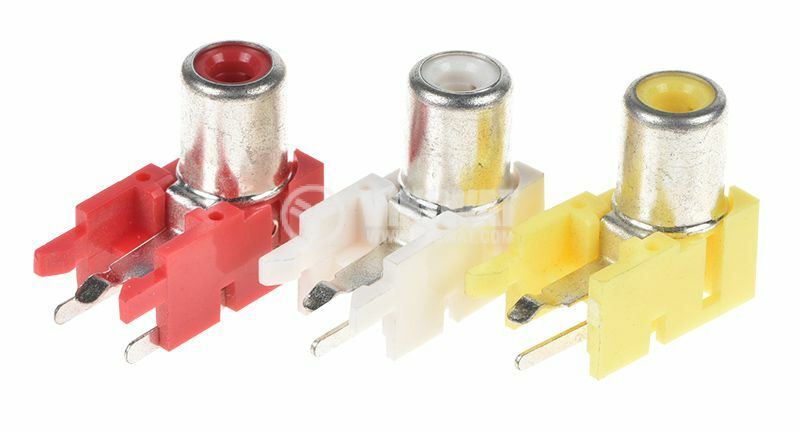 Female RCA connector for PCB mounting with white, red or yellow color and rectangular shape. For audio signals transmission in systems with amplifiers, preamplifiers, microphones, headphones and others. Please, note the color you need when ordering.